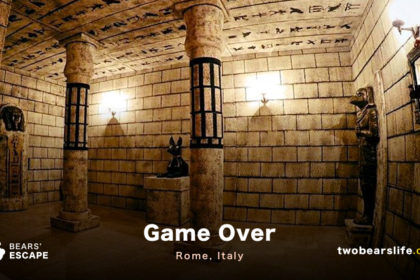 On our last trip to Budapest, we had the chance to check out a new kind of escape room. VRoom is the first company to offer Virtual Reality Escape Rooms in Central Europe. Check out our Review about the VR-Escape to outer Space “Cosmos” and get a little sneak peek into their new room “Mind Horror“. 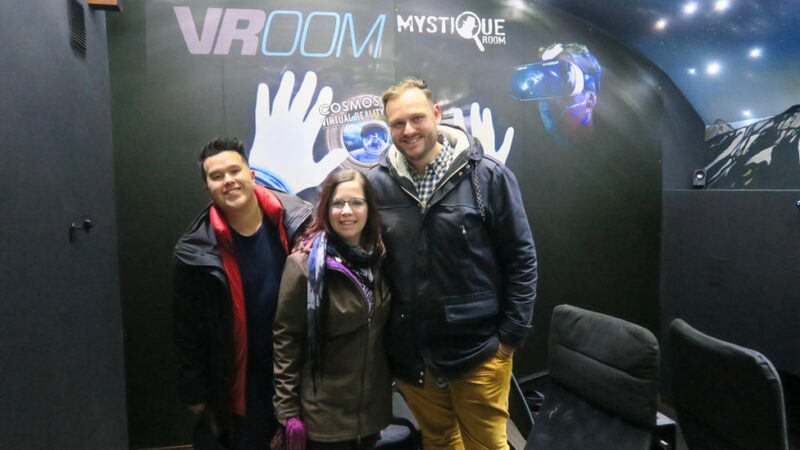 As part of our new years trip to Budapest, we also heard about the new VR room that Mystiquerooms offered for their costumers. We have never done an escape room in a virtual world, but we were also sceptical about it. We love to do escape rooms because it is a team experience. So we were curious: is it possible to translate that into virtual realty without losing some of its appeal? 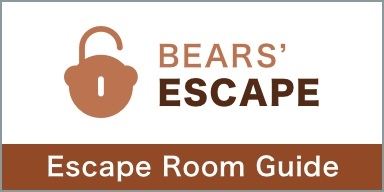 Or should we not even compare it with an actual escape room and view as its own adventure? We were curious and besides checking out Cosmos, VRoom also gave us the chance to be (one of the) first test groups for their new room “Mind Horror“. They are in the final testing phase and will open it to the general public in middle to the end of January 2017. Feel yourself in a cosmic world, where you have only an hour to complete your mission! A whole new 3D world, where you’ve never been before, and the sky is the only limit! Once you enter the room, you will be assigned a comfortable chair and head-gear for your virtual reality adventure. VRoom offers up to six seats per room, so we had enough space with our 3 person team. At the beginning, our game-master explained the basic movements of the game. You are able to fly, slow or fast, depending on how far you stretch your hands. You are able to shoot lasers, pick up elements with your hands and interact with an in-game service menu for your robot-avatar. Once the briefing was done, we got our head-gear and the VR-glasses registered our hands, which was pretty cool. You can actually use your hands without any additional controls. The countdown tells you that the game is about to start. You find yourself and your friends in a space-station. The alarm is on and the emergency protocol tells you, that the station is about to explode. Your mission? Stop it. Once you have adjusted to the basics of your movements, most of the controls feel pretty natural. We had some problems during the game with the flights, but other than that, it was a cool and fun experience. Did we manage to succeed our mission? Well, let’s just say that not all of us did reach the final point of the game. On a mission to save the life of abducted victims, you will go on a journey inside the criminal’s mind. Will you be able to face this twisted world to succeed on your mission? The second and harder game they (will soon) offer is Mind Horror. VRoom was so nice to offer us an advance testing experience with the new room and of course we were totally on board. The basic setup is similar – although the hardware used in this game felt way nicer on our head. The movement set is similar to Cosmos: you are able to fly, move and shoot energy balls. Generally, the movements here felt better and more natural. You start the game in an office and right of the bat you have to interact directly with your teammates to be able to continue with your story. It is pretty cool when you give a virtual object to the virtual avatar of the friend who is sitting right next to you (but may be not on the same side as in the game). All of this works surprisingly well. Sure, some of the stuff on the desk in front of us just landed on the (virtual) floor, because you mostly act like a 5-year-old when you grab stuff. But the items you need to handle are big or visual enough so there should not be a danger of missing them. In general, the story was a little bit confusing, but the experience was cool and the tasks were more different and diverse than in Cosmos. We finished it in time – this time all of us reached the end of the game successfully. We had great time in both of thevirtual reality games VRoom offeres in Budapest. 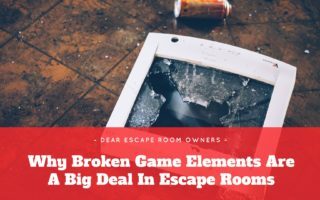 Nevertheless, we struggled a little but with one big question: Should we label and compare those rooms physical escape rooms? We argued a little bit about it and landed on: No. Why? Well, the experiences are so different that a direct comparison would just not be fair or possible. 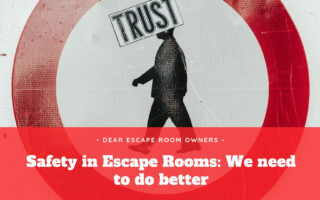 It is hard enough to review and rate physical escape rooms, because experiences, expectations and preferences differ between people and groups. So we decided to review this under the label VR-Escape Room and will not give numbers, since we have not played anything like this before. 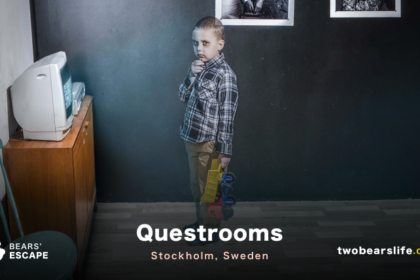 Will you like VRooms, if you like escape rooms? There is no definite answer to that. 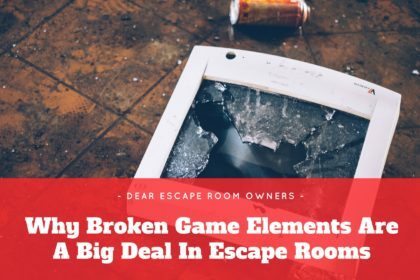 One thing that surprised us a lot is how well team-work, which is a big factor in escape rooms for us, also works in the virtual reality games. On the other hand, especially with “early generation games” like these, you as a player will have to spend a some of your game time learning the specific moves for the game. Sure, the way you can use your own hands without any equipment is impressive. Still, the player will need some time to acclimate to the world. Which also means, most puzzles are not that hard, because the bigger challenge is how to actually do the required tasks in your virtual avatar. In end, every escape room has to be fun and exciting. Both of the VRooms succeeded in this requirement, because the technology is new and exciting in itself. All three of us are tech-savy and love to try out new stuff. So of course we had a really great time. We even enjoyed the “Mind Horror” more, because it was harder and included more puzzle elements. In a city like Budapest which is full of classic escape rooms and other activities for tourists, it is important to stand out. 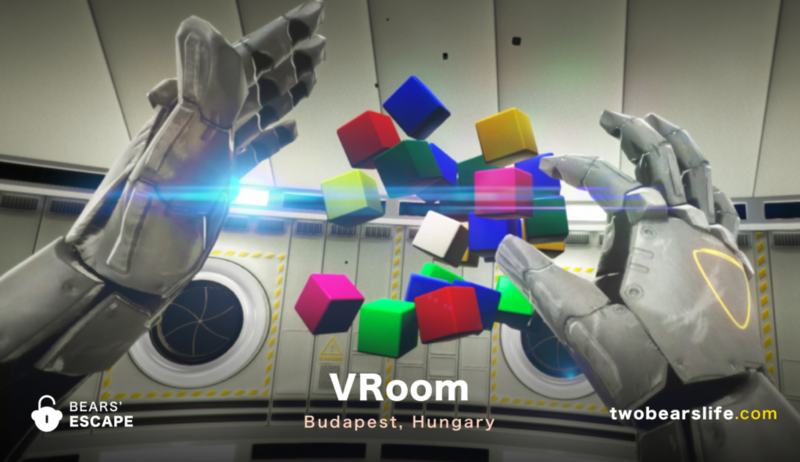 And since VRooms is the first company in Budapest (or Central Europe in general) to offer virtual reality rooms, it should come as no surprise that we would recommend a visited, if you want to try something new and exciting. Sure, the games are more of an entry into the VR-Gaming, which holds so many opportunities to improve in future. But for now, we were impressed with what VRooms has to offer. All in all – don’t expect really hard puzzles but a brand-new experience with virtual reality and focus on team work. One cautionary remark: if you tend to get motion sickness easily, you may want to sit this one out.